Insolito Boutique Hotel, Buzios, Brazil details from BrazilBookers.com. Insólito Boutique hotel exuberates an amazing and luxurious feeling. This hotel has been inaugurated recently and is situated at Ferradura Beach, overlooking the ocean. It is surrounded by thick green vegetation, from which the guests can have a very good view of the ocean. The Mediterranean looks of the hotel combines easily with the Brazilian architecture making the design of the hotel unique. There are twelve well designed rooms divided into Superior, Deluxe and Suite. Jacuzzis are the main feature of the top three suites situated on the balcony overlooking the bay. Whereas, a miniature garden is the mainstay feature of the deluxe room. All the rooms possess air conditioners, Wi-Fi connectivity, LCD screen TVs, DVD players. 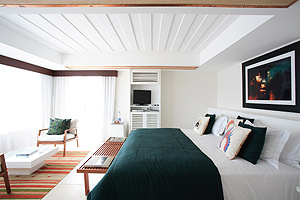 Each room gives a Brazilian beach-chic vibe and offers Trussardie robes. For recreational purposes the hotel has two swimming pools, one of which is filled with sea water, sauna, Jacuzzis and 2 massage rooms. A few other extra features of the hotel are the yoga sessions and spa treatments available for the guests. 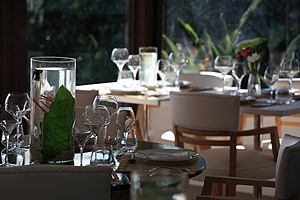 The restaurant facing the sea provides the guests with delicious Brazilian flavors and colors in a fusion cuisine. 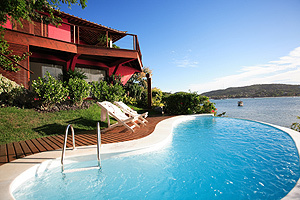 Insolito Boutique hotel is one of the finest hotels in Buzios, Brazil. 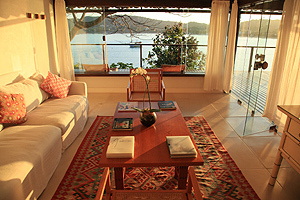 known for the Mediterranean style rooms with grand views, it is the ideal place to put up when in Buzios. Rooms range from ‘superior’, ‘luxurious’, ‘suite’ and ‘master suite’. Each lives up to its expectations or rather exceeds them pretty well. Each room has a wooden deck to let you sit down and plan out activities while overlooking the ocean. The suite has an exquisite Jacuzzi as well to make you feel like a king. An outdoor Jacuzzi, pool and sauna are available for all guests. Nobody is left out when it comes to making you feel comfortable and pampered. Each room has all the contemporary amenities including air conditioning, cable, satellite television, hair dryer, safe deposit box and in short anything and everything you need to make yourself comfortable. The poolside bar is out there for you to grab a snack or a chilled drink while bathing in the glory of the sun. The restaurant is perched on the rooftop and it’s the food that that takes you the seventh heaven and not the height. Cuisines from all over the world and the Brazilian specialities will make your mouth water for sure. The charming environment created by pretty flowers and modernism blended will make you enraptured. If you do not know what to do around the town, you will have more than enough to do in the hotel itself. Pamper yourself in the sauna or tone your body in the fitness centre. You may have peaceful time fishing or a quiet relaxing massage. You may explore the solarium if you so feel like. If nothing, take a cycle and look around the pretty place. Or if you wish to get connected, wireless internet facility will let you do what you want. Private parking is free of charges to take care of your marvels on wheels. For your convenience, credit cards are accepted including American Express, VISA, Master card, Euro. You will find all the comforts and no worries at this horse shoe shaped island. At Insolito Boutique it is seen to that you have nothing to complain about. The well trained, highly efficient staff is always ready to serve you with a smile and always ready to cater to your needs. Families, singles, kids, elders alike enjoy the sy=tay assuredly. There is a lot to explore on this island and Insolito is the right place to do it from. 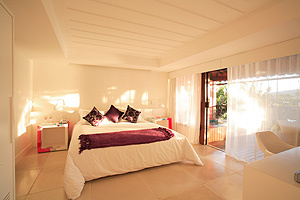 When would you like to stay at Insolito Boutique Hotel ? 1) Rates at the Insolito Boutique Hotel may not be valid during Carnival, New Years, Easter and other special dates. © Copyright Bookers International, LLC. 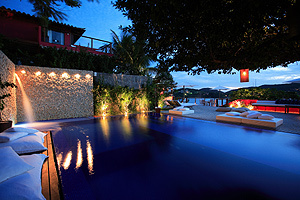 All Rights Reserved – Information on Insolito Boutique Hotel, Buzios, Brazil details from BrazilBookers.com.